Internet giant Google is declining to answer a series of questions from Congress about its rumored efforts to launch a Chinese-government approved censored search engine, fueling ongoing concerns about the company's efforts to partner with repressive regimes known to conduct cyber espionage operations against the United States. Google has informed a cadre of top senators that it will not answer detailed questions about the potential launch of a new search engine in China that has come under congressional scrutiny due to the Chinese regime's routine censorship of content. The secrecy surrounding a possible Google-run search engine in China comes as the company declined a request by the Senate Intelligence Committee to testify Wednesday about foreign election meddling and other issues surrounding illicit cyber operations on social media sites. Google declined to make its top CEO, Larry Page, available for the hearing, though leaders from Facebook and Twitter are scheduled to appear. Congressional officials familiar with the situation expressed concern that Google is putting profits before basic freedoms. 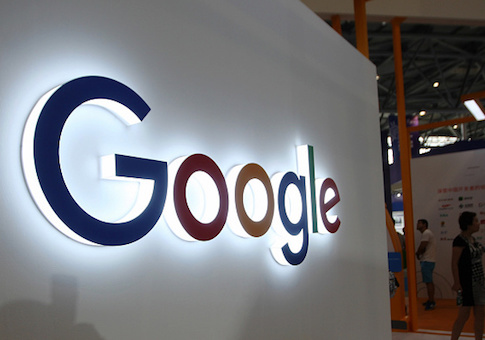 "It's clear that Google would rather make money helping the Chinese communists preserve their totalitarian regime than help the U.S. military operate more safely and effectively," one senior congressional source told the Free Beacon. "This is appalling, but not surprising. There will be an empty chair for Google at the Senate Intelligence Committee hearing where Jack Dorsey and Sheryl Sandberg are testifying tomorrow. Google seems to be betting that Congress can't or won't act. It's time we called their bluff." Google, in an Aug. 31 letter to senators, said it is seeking to make further inroads in China, though deliberations on a potential new search engine are ongoing. Google pulled its search engine from China in 2010 due to censorship issues. Recent reports claim the company has been working on a secret project named Dragonfly believed to be a new search engine, portions of which have reportedly been shared with the Chinese government. "Google has been open about our desire to increase our ability to serve users in China and other countries," CEO Sundar Pichai, informed the senators. "We are thoughtfully considering a variety of options for how to offer services in China in a way that is consistent with our mission." Pichai said that the company has struggled to balance access to information with government-imposed restrictions in various countries such as China. "We are committed to promoting access to information, freedom of expression, and user privacy, as well as to respecting the laws of jurisdictions in which we operate," the letter stated. "We seek to strike the right balance in each context. We are approaching these issues deliberately, and whether we would or could release a search service in China remains unclear." Due to a range of issues, Google declined to answer questions from the senators on the status of a possible Chinese search engine and coordination with the Chinese government. "We are not in a position to be able to answer detailed questions," the letter stated. "But we can confirm that our work will continue to reflect our best assessment of how best to serve people around the world, as set forth in our mission and our code of conduct. Of course, should we have something to announce in the future, we would be more than happy to brief you and your staff on those plans." In their initial letter to Google, sent in early August, the senators requested information on why the internet giant is seeking to reenter China. "What has changed since 2010 to make Google comfortable cooperating with the rigorous censorship regime in China?" they wrote. The lawmakers are concerned that Google will be forced to form a joint venture with a Chinese firm, as is mandated by the communist regime in many cases. "Was Google's decision to enter a joint venture with [Chine investment firm] Tencent connected in any way with its efforts to enter the Chinese market via the custom search app?" the lawmakers asked. The senators requested additional information on whether Google has assembled a "blacklist" for certain searches or if it will refuse government censorship request. "Will Google employees involved in managing ‘Dragonfly' be required to attend the official mandatory trainings on ‘Marxist news values' and ‘socialist values' as required of other technology companies that provide internet news content services in China?" the senators asked the company. Google declined to answer all of these questions, telling lawmakers the company maintains "hundreds of Google employees in Beijing, Shanghai, and Shenzhen." Additionally, "there are thousands of Chinese developers on Android and hundreds of millions of Android users in China," according to the response letter. Google seeks to "to stay at the forefront of technology developments" in the country. This entry was posted in National Security and tagged China, Google. Bookmark the permalink.